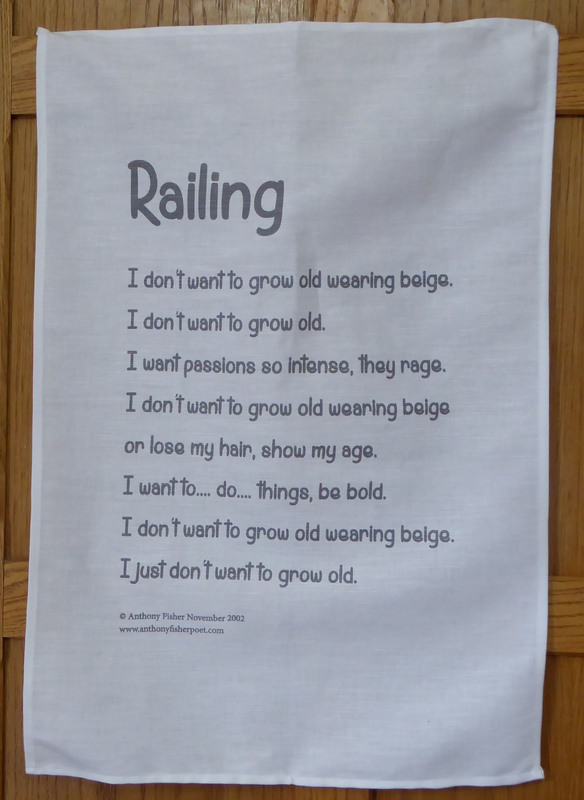 This is a triolet, Railing, that I wrote for my 60th birthday and at 72 I am still railing so I have printed it on a tea towel – for my 60th I had it printed on paper napkins. Well it is a way of getting published! And I have opened an Etsy shop! I write poems because I want to express how I feel, what I see in order that others may read them, understand me more so I like to have the poems available in all manner of ways. London speaks about 300 languages and English is derived from about 350. To Celebrate this I am having my poem Londinium, translated into 25 languages for an A1 poster exhibition at the Dugdale from March 21st 2016. I hope also to have recordings so that visitors can listen to the poems as well as look at or read them. The idea is to celebrate London’s languages and diversity. This is the design and each poem will have a different colour. Next Post How Londinium came to be Hindi, a tale of the wonder of the internet.